JOHN O’LEARY has warned Dublin against playing down the clock as they close in on a fabled All-Ireland four-in-a-row, describing the tactic as “very high risk”. The Sky Blues have qualified for a ninth consecutive SFC semi-final with one round of the Super 8s still to go. 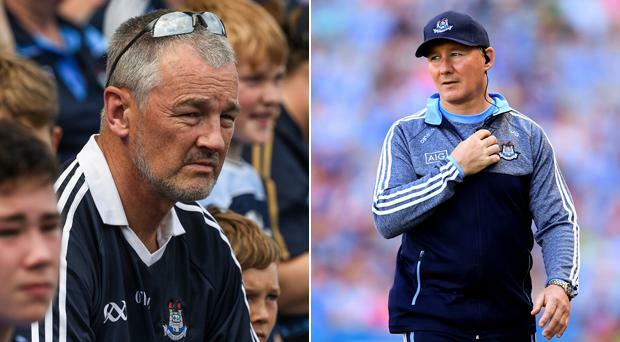 But Dublin legend O’Leary would like to see them finish off opponents with a flourish instead of protecting leads down the home straight, as happened against Donegal in Croke Park and to a lesser extent against Tyrone last Saturday night. “I’ve a bit of a sneaky feeling the All-Ireland final might be Dublin v Tyrone at the end of the day,” he predicted on the RTÉ GAA Podcast. “Dublin are playing okay-ish,” O’Leary added. “I just wish they’d played like Tyrone did against Roscommon and looked more lethal, putting teams to the sword, as opposed to sort of playing that last 15 minutes hanging on to the ball. “If you go back to 2011, Kerry lost the ball in the middle of the field in the last couple of minutes when they were doing the same thing, fluting around with it. “They turned the ball over, Dublin got the ball and stuck it in the back of the net. The momentum was gone, Dublin got the next score and won the All-Ireland. More positively, he paid tribute to fellow ’keeper Stephen Cluxton who, last weekend in Omagh, equalled his all-time record of 197 league and championship appearances for Dublin.